^ "Fremont". Geographic Names Information System. U.S. Geological Survey. Retrieved February 8, 2015. ^ “Chapter 4: Community Character” (PDF). General Plan 2030 Working Draft. City of Fremont, California. (November 2010). http://www.fremont.gov/DocumentView.aspx?DID=4667 2010年11月24日閲覧。. ^ "北米の補習授業校一覧（平成25年4月15日現在）." (Archive) MEXT. Retrieved on May 5, 2014. 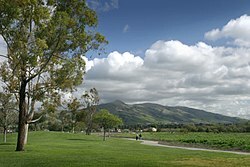 "Cubberley Community Center, A2 4000 Middlefield Road,Paro Alto〔ママ〕,CA,94303,USA"